A few weeks back, Intel — the smart chip manufacturer and giant — visited the CCHub to interact with developers, entrepreneurs & tech enthusiasts in the space. Somewhere during the conversation, a friend asked how Intel obtains research data concerning markets they intend to enter. The response was that they paid several research companies “millions of dollars” to come by it, and even though the data wasn’t as accurate as they’d love it to be, it was good enough to establish trends, which is useful enough for them. We asked if they’d be willing to share that data with us, seeing as we don’t have “millions of dollars” to spare. Can you guess what they said? You guessed right! We were let down with a very subtle NO. Of course, other tech companies (telcos & ISPs) who have access to this data are either not willing to share it or are not mining it. A few days later Bosun calls me aside and clues me in on an idea he’d been turning around in his head for sometime now. It was a practical attempt at solving the problem I’ve just described – how the average digital entrepreneur can gain access to market data that helps them make informed business decisions. If the heavyweights wouldn’t share their data repos with us, why couldn’t we just build our own? 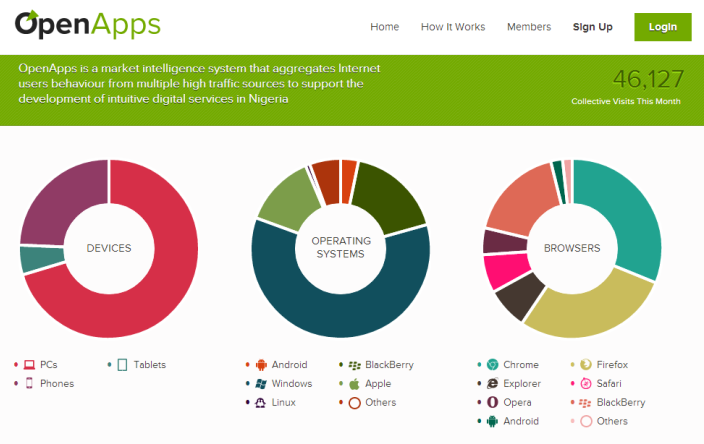 OpenApps is a market intelligence system that aggregates Internet user behavior from multiple high traffic sources to support the development of intuitive digital services in Nigeria. In the design of a solution to the challenge of access to actionable digital market insights, we latched onto the idea that aggregating analytics from multiple high traffic sites would give us relevant data points — browsers, operating systems, device OEM share and more. The data would then be analysed and presented in a single dashboard that would allow the user visualise the trends and patterns therein. With OpenApps, we can collect non-personal data on internet user behaviour from multiple high traffic web platforms, be they apps or websites, in Nigeria. By themselves, the data from each app or website is worth only so much, and to just the one who owns the app or website. But together, the utility is suddenly multiplied by many, many, many orders of magnitude. That’s because what we’ve now got is a data set that is representative of the online usage patterns of Nigerians as a whole. On the back of that, we’ll finally be able to make intelligent app development choices and market entry decisions for similar solutions. That is also why the “collective” is important. Members of of the collective are websites and apps that volunteer to make the data from their online platforms available to the project. And we’ve made it easy to do that. 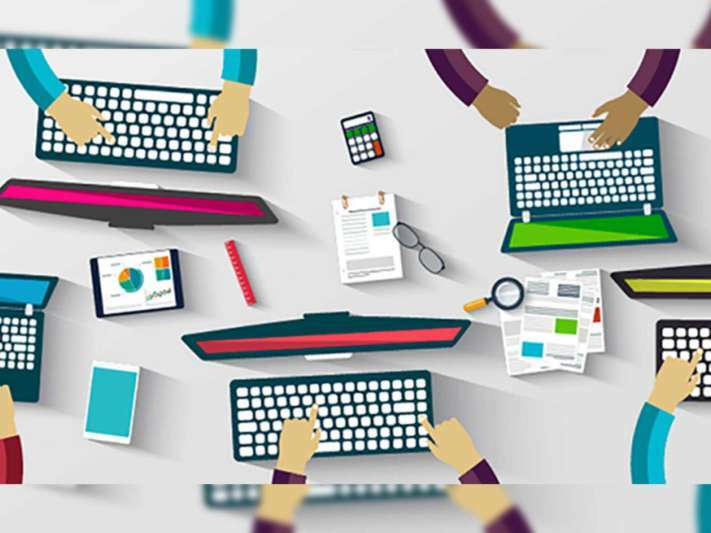 With a just a few lines of code, copied and pasted in the appropriate place, any Nigerian web platform can become a part of OpenApps and contribute to the evolution of the Nigerian technology ecosystem into a knowledge driven community. We’re glad that a lot of partner sites who share the vision have joined the collective, and we urge everybody else in the community to pitch in. Like the name suggests, OpenApps is open, to anyone to join and use. Most importantly, it is free. OpenApps is still a work in a progress, however. We’re constantly iterating and building out functionality and sprinting to the next X on our development roadmap. We’re counting on the community embrace and support it with insights, feedback and more. 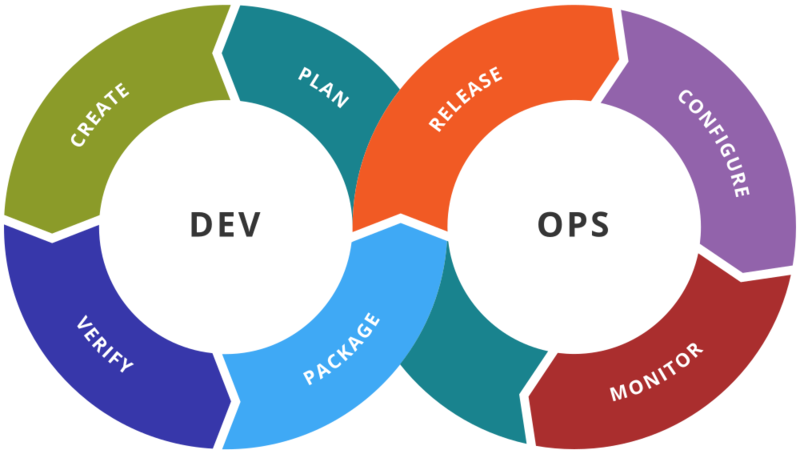 Visit OpenApps, and follow the project on Twitter for the latest updates.